Thomas Henry Walther was born in 1879 at Wellington, New Zealand. 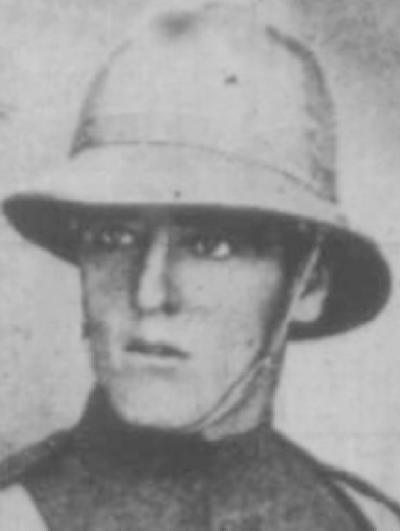 A stockman by trade, Walther enlisted in the NSW Citizens' Bushmen becoming and 485 Trooper Thomas Henry Walther and allotted to "C" Squadron. Walther is recorded in Murray, p. 82. At the end of the month, on 28 February 1900, the men of the contingent boarded the SS Atlantian from Cowper Wharf where they remained for the next 24 hours. The next day, following Admiralty rules, on 1 March 1900, the ship departed Sydney Heads for South Africa. Walther was invalded back to Australia on 3 November 1900. He remained on the NSW Government pension till 31 May 1908. He was also recorded in the New Zealand Defence Force, Personnel Archives for his service in South Africa (see Archway: WALTHER, T H - SA485 - Army).